AI Trader now offers its users the ability to trade on ALL PAIRS with BOTH a stop loss and take profit simultaneously. Dubai, June 13, 2018 – One of the World’s Top 5 GPU based mining firms Kingdom Mining announced the launch of a breakthrough autonomous cryptocurrency trading platform, AI Trader. Within two weeks of its launch, AI TRADER now announces a Game-Changing OCO Trading Mode. The ecosystem is developed on two core principles “Simplicity” and “Transparency” the result is platform that is disrupting all paradigms of trading. The system is currently live and offers both Currency Trading and Leverage trading options to its subscribers. Not only have the systems managed to significantly mitigate the HODL losses for the creators of the platform but it is currently yielding 82% on average monthly returns while trading crypto currencies and 120% while leverage trading across all strategies. These results are posted on their website and updated in real-time. Users can download and see these results based on every single transaction the AI has made. In AI Trading mode, users simply activate a desired strategy and the AI begins trading autonomously seeking optimal trading results. It’s in built dynamic equity management protocols enable the AI to recover any losses by entering trades back with deep learning and with a higher amount, just as human trader would. Users can see how the AI performed in the last 30 days and can even download a complete transaction history of every single trade. The application features three different AI Trading attitudes built on time-based strategies. Each attitude sets a particular AI behavior in motion. AI Trader is the first of its kind trading platform that enables users the option to trade with OCO (One Cancels Other). 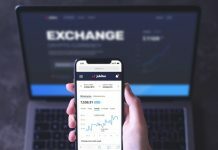 Unlike other exchange platforms where only EITHER a stop loss OR a take profit can be set, AI trader offers you a unique opportunity to trade on ALL pairs with the ability to place BOTH a stop loss and take profit simultaneously. Deep Learning AI studies current market patterns using numerous indicators to analyze trends and emerging patterns and provide users with a real-time buy signal. AI Trader is the first of it’s kind platform to offer autonomous trading powered by Bitmex. The exchange offers margin trading with the highest leverage on the market. AI Trader harnesses the power of machine learning to read and interpret real-time patterns and makes swift trading decisions. In-built deep learning tools allow these decisions to be made on basis of all big data the systems have collated while trading in real-time. Users can trade on every single currency provided by Bitmex. AI Trader recommends users to set leverage 20x prior to activating AI Trader to trade on their behalf. You can trade with as little as 1 USD using this application. The platform has also announced one of the most attractive referral programs in the market. 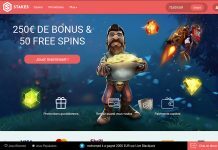 Influencers receive 10% lifetime commission of the referred customer. 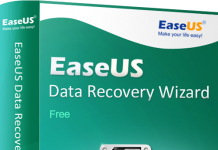 The customer also receives a 10% life time discount on registering using the referral link. The platform offers three different pricing packages; starting from 150 USD. Currently, Litecoin, Bitcoin Cash, and Credit Card/PayPal payments are allowed. New subscriptions will be closed on 20/7/2018 until further notice. 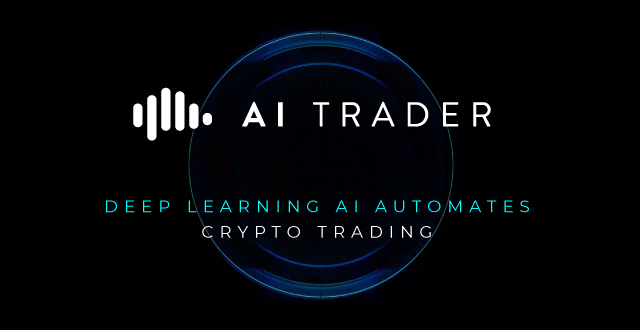 AI Trader is undeniably a one of a kind platform, that’s set to disrupt the way crypto trading is done today. It fundamentally shakes the current paradigm of trading, simplifying it to a degree the world of trading has not experienced before. We have also availed a 10% discount for all our audience, you can claim the same by clicking the following link: This is a limited time offer and will expire on 1/07/2018 at 24:00 GMT.